Poul Anker is the 10th great-grandfather of Richard, James, Gary, Lisa, Carl, Jane, Bruce, James, Anne, Bonnie, Wendy, Pamela, Gail and Paul; and the 11th great-grandfather of Asher, Owen, Caitlyn, Becky, Andrew, Joshua, Connor, Derek, Dylan, Priscilla, Lukas, Abigail, Trevor, Ross, Elliot, Britt and Erik. 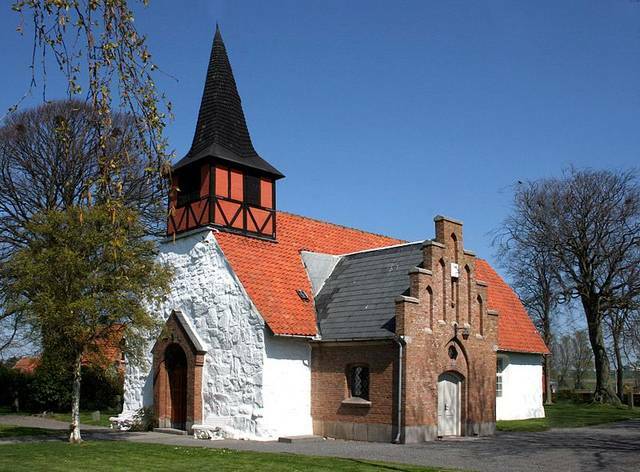 Poul Hansen Anker or Ancher was the parish priest in the Hasle and Rutsker parishes of Bornholm from 1654 to 1697, and a principal organizer in the campaign for the liberation of Bornholm from the Swedish. Poul’s birthplace is uncertain, although it is likely he was born in Hovby, Denmark, in the Skåne region now a part of Sweden, where Hans Povlsen, also named Anker, sat as parish priest and died in 1655. Poul graduated in 1650 from Our Lady’s School in København and registered June 1, 1650, as a theological student with the university. When an outbreak of the bubonic plague killed six of Bornholm’s 15 parish priests in 1654, Poul was appointed priest of the church at Hasle. Poul’s predecessor in that parish had been Jens Hansen Sode (1603-1654), who had been rector of the Rønne Latin School before he was made parish priest in Hasle and Rutsker in 1642. On June 5, 1655, Poul married Jens Hansen Sode’s daughter, Karen Jensdatter Sode, Their first child, Margrethe, was born in 1658, followed by Hans (our ancestor; 1662), Jens (1664), Else (1666), Key (1669) and Jørgen (1669). After Else’s death in 1684, Poul married Lene Nielsdatter and had three additional children: Gurris, Karen and Maren. Following a bloody war between Denmark and Sweden (1655-1658), Bornholm and three other Danish counties, including Skåne, were ceded to Sweden, who established a vigorously oppressive rule on the island. Shortly after Swedish general Johan Printzensköld was sent to Bornholm to assume authority over the island, the inhabitants began to hatch a plot against the occupying Swedes. Bornholmers rallied around three leaders: Poul, who mobilized the citizenry; Hasle mayor Peder Olson, who handled communications with the Danish government in København; and Poul’s brother-in-law’s cousin, Jens Pedersen Kofoed, who organized and led an armed attack. 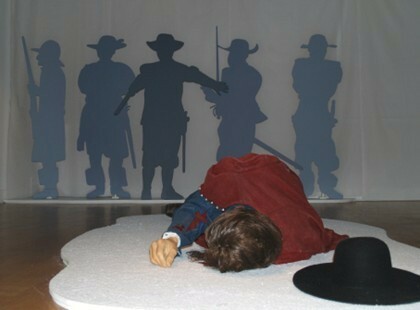 In November 1658, General Printzensköld was ambushed and shot to death and an assault was made upon the Swedish garrison at the Hammershus fortress. The Swedish fled the island as a result of the ensuing chaos and panic among their own soldiers. A messenger was dispatched to inform King Frederick III that Bornholm had liberated itself and wished to return to Danish rule. This was confirmed in the 1660 peace settlement between Denmark and Sweden. Poul, Jens Kofoed and Peder Olsen are revered by Bornholmers to this day as liberators and folk heroes. In 1685 Poul Anker was appointed Provost for the whole of Bornholm to succeed his late brother-in-law Hans Jensen Sode. Poul died Oct 28, 1697, in Hasle, and was buried in the church there. 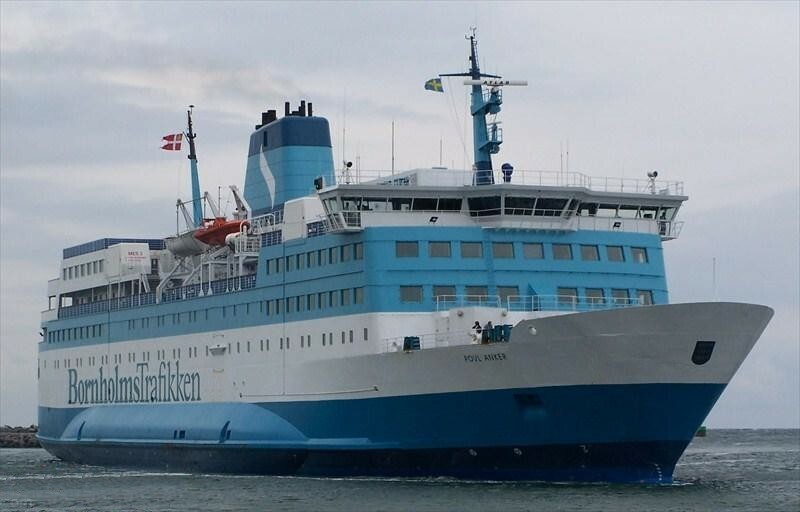 One of the large ferries that ply the Baltic Sea to and from Bornholm is named for our 10th great grandfather. So cool! Very interesting that there are several clergy in our family. In fact, 20 years ago, I started the process of becoming an Episcopal priest. I was amazed myself at the number of priests/ministers that I found in so many family lines. Small world story: My ex-wife and I got married in FL, but we had permission to get our pre-marriage counseling here on LI, so we went to the local Lutheran church to meet the minister. The minister heard my name and said, “Any relation to Clifford Riis?” Turns out he went to Concordia with Clifford and even lived as a guest in the Riis house for a while.